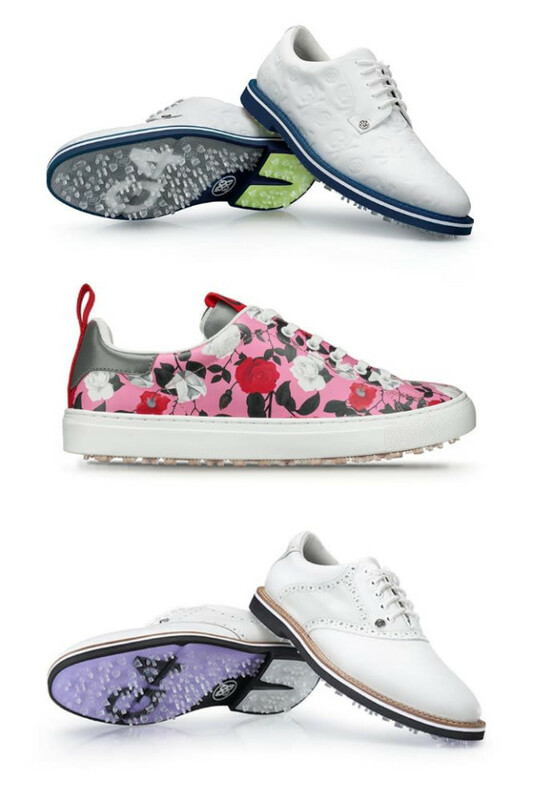 G/FORE has revealed its Spring Summer footwear collection for 2019. Following the mantra of 'Irreverent Elegance' this range of men's and women's styles boasts a wide variety of designs, delivering both performance and comfort. 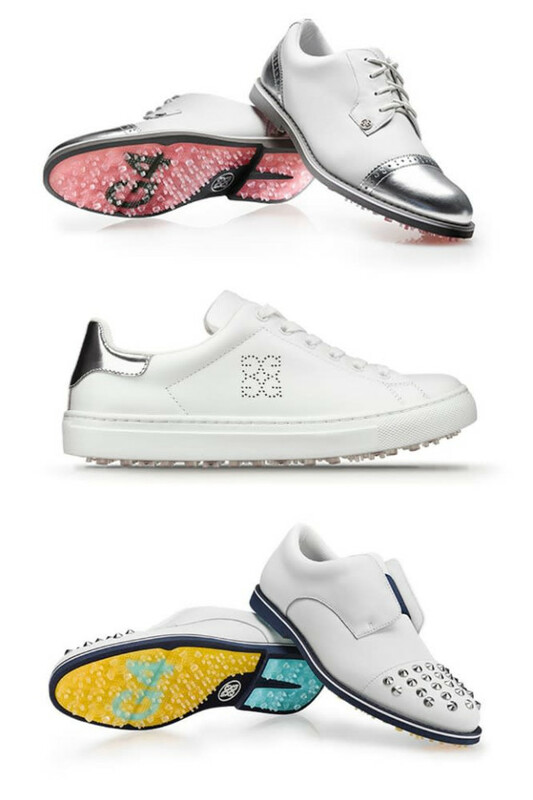 Available to purchase at www.gfore.co.uk and selected retailers across the UK & Europe, the brand’s SS19 footwear collection fuses the most relevant street fashion and luxury engineering with golf and embodies the G/FORE philosophy of letting golfers express themselves whilst playing as well as injecting a little more fun and flair back into the game. As stylish as it is comfortable, the Brogue Gallivanter combines an athletic fit in premium waterproof leathers with classic brogue details. This style features classic brogue detailing throughout the upper and a white stripe in the outsole. Custom designed by G/FORE's team of footwear experts, the Brogue Gallivanter boasts an ultra-lightweight sole coupled with a bespoke cleat design for optimal on-course traction. This shoe sports a washable and anti-microbial, triple density foam cushion footbed for superior comfort along with Comfort System Technology which allows airflow to feet and provides the ultimate massage for your soles. Our twist on a classic men's split toe dress shoe, the Pintuck Gallivanter combines an athletic fit with premium waterproof leather in signature G/FORE colourways. Custom designed by G/FORE’s team of footwear experts, the Gallivanter IV.0 boasts an ultra-lightweight sole coupled with a bespoke cleat design for optimal on-course traction. This shoe sports a washable and anti-microbial, triple density foam cushion footbed for superior comfort along with Comfort System Technology which allows airflow to feet and provides the ultimate massage for your soles. G/FORE’s take on a classic golf staple, the Saddle Gallivanter is custom designed by our team of footwear experts and boasts an ultra-lightweight sole coupled with a bespoke cleat design for optimal on-course traction. This shoe sports a washable and anti-microbial, triple density foam cushion footbed for superior comfort along with Comfort System Technology which allows airflow to feet and provides the ultimate massage for your soles. As stylish as it is comfortable, the Embossed Skull & T's Gallivanter golf shoe combines an athletic fit with premium waterproof leather in signature G/FORE colourways. Custom designed by G/FORE’s team of footwear experts, this shoe boasts an ultra-lightweight sole and signature Skull & T's emboss pattern coupled with a bespoke cleat design for optimal on-course traction. This shoe sports a washable and anti-microbial, triple density foam cushion footbed for superior comfort along with Comfort System Technology which allows airflow to feet and provides the ultimate massage for your soles. The Roses Disruptor features our signature print of the season and is designed with all the same premium G/FORE outsole details optimizing traction, flexibility and support. This shoe sports a washable and anti-microbial, triple density foam cushion footbed for superior comfort along with Comfort System Technology which allows airflow to feet and provides the ultimate massage for your soles.